Music this week that speaks to hard times. From the Dust Bowl and Great Depression to personal hardships, we’ll share some bluegrass sounds, tunes steeped in tradition, soothing notes of country gospel, and folk blues. We’ll hear from The Weavers, Mavis Staples, Bobby Bare, and Pearly “Grandma” Davis (a nugget from Mike Seeger’s Old Time Music series). There will be talk of failing crops, revolution, and Oklahoma dust this week. 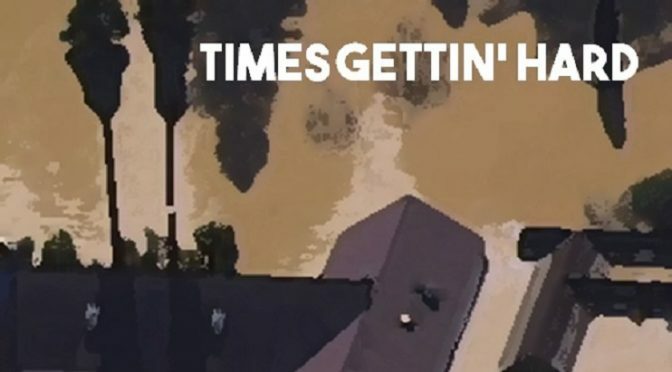 Deeper Roots goes a little bit deeper with more songs about hard times this week on KOWS Community Radio, broadcasting live from the Cherry Street Historic District of Santa Rosa, California, where our neighbors just experienced their own hard times from flood waters. Thinking about them. 29 Eels Rock Hard Times Shootenanny! This week we’ll explore the music of the legendary Charley Patton. We’ll be dipping our toes into the birth of the Delta blues featuring some classic tracks from the gravel-voiced masked wonder as well as some rich covers from contemporary performers. Listen in for music from Otis Taylor, David Johansen, Corey Harris, and Taj Mahal…just to drop a few names. We’ll also scratch the surface of Charley’s career including some reflections from a master’s thesis written by none other than the American musicologist and musician, John Fahey. 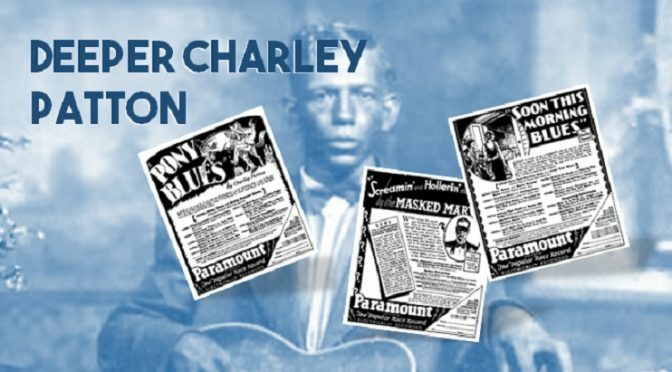 Tune in Friday morning as we board ourselves a raft to roll down the waters in search of the rich and elusive legend of the Mississippi Delta blues that was Charley Patton. 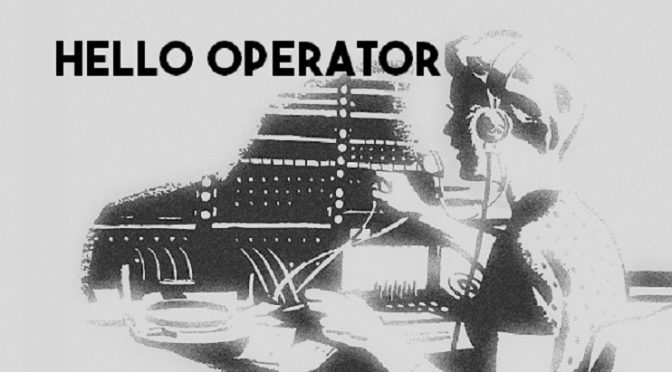 Long before we were graced with the voices of SAM, Siri, or Alexa, and before we could carry our smart devices around like a wallet or clutch…there were the women and men who served us from behind the receiver: the telephone operator. Maybe they didn’t have the answer to everything but they could connect us to about anyone anywhere in the world. But it usually cost more than we were willing to admit. This week’s Deeper Roots show takes on the theme of the telephone operator, the long distance connector, and the person with a soul…and usually a quick hangup if there were not enough coins to drop in the pay phone. It was the penalty for human interaction I guess. We’ll let Jorma, Johnny Otis, Wanda Jackson, and Eddie Floyd take us on a trip back to rotary dials and party lines in this week’s episode, live from the Santa Rosa studios at KOWS. This week’s show has us revisiting the Old Chisholm Trail and prairie passages that resemble all things that follow those romantic icons whose life on the range was less than what their songs usually embellish. 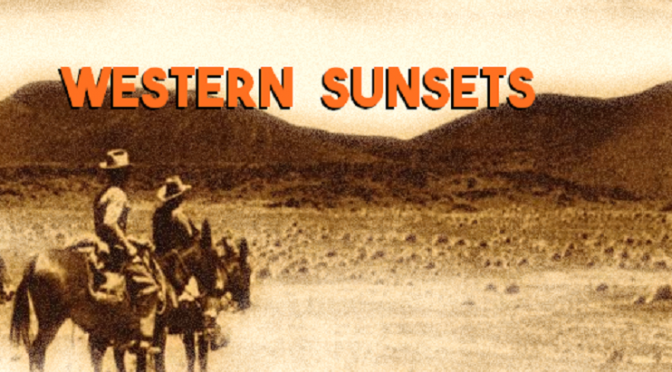 In the western sunsets where John Lomax first went out in search of the ‘cowboy song’, we’ll explore more enlightened performances from the silver screen to the deep folk traditions that have become so laminated with romance that it’s hard to see the images beneath. This week’s show will take us from Carl T. Sprague, the original cowboy crooner, to Johnny Horton, Fess Parker, Rex Allen, and Roy Rogers. The music is sometimes sappy (Rick Nelson’s My Rifle, My Pony, and Me), sometimes light (Roy Rogers’ My Chickashay Girl), and other times full of storytelling and history. So many performances to light up the evening sky…just before dusk…just before that ceiling of stars appears in the night sky. Join us for our first live show from our new KOWS studios in downtown Santa Rosa. 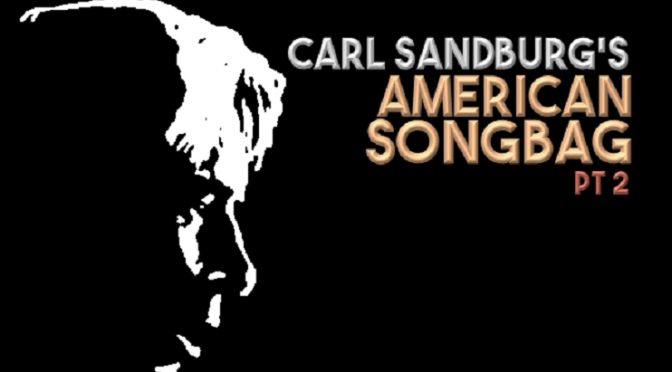 We had so much fun with our first installment a few months back that we thought it was worth a second installment…well, that and the depth and breadth of the American Songbag certainly lends itself to doing so. It doesn’t hurt either that it fits our deeper roots sensibilities so well. This installment finds us meandering about those classic songs whose topics include mellow blues ballads, hobo songs, Mexican border songs (how appropriate), tarnished love tales, and the ‘road to heaven’. Helping us through our sets we’ll be featuring an interesting collection of performers: Dave Van Ronk, Dock Boggs, Rosanne Cash, and Peter Case. A host of others will join in the fun on Community Radio for Sonoma County. There are a handful of record labels that subscribe to the ‘deeper roots’ dogma. And our show tries to cover all of them. 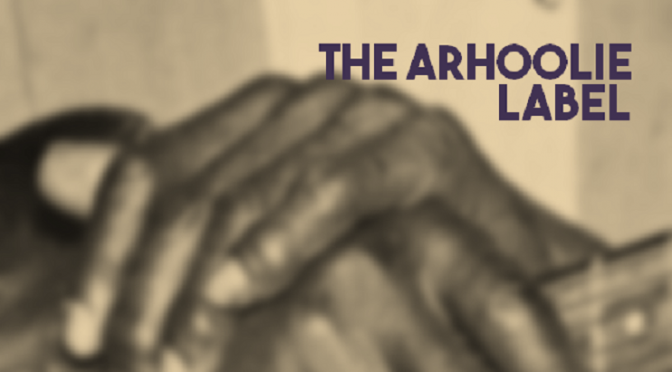 But East Bay’s own Arhoolie, whose catalog was recently acquired by Smithsonian Folkways is a very special example, maybe the premiere example, of what it means to dig deeper. Founded in 1960 by Chris Strachwitz, a German transplant who moved to the States in 1947, Arhoolie was founded on the principle that the best music could be found by traveling the backroads. And that is precisely how it got started, with a recording device in his trunk and an ear for the sublime. Join us this Friday evening as we explore just a hint of the music you’ll find on a landmark roots label. 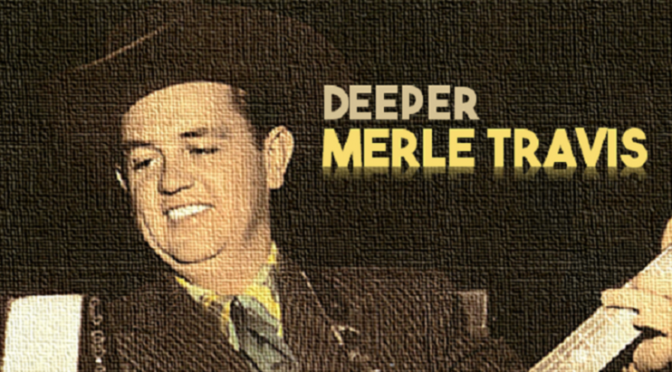 Merle Travis’ influence on country music cannot be ignored. 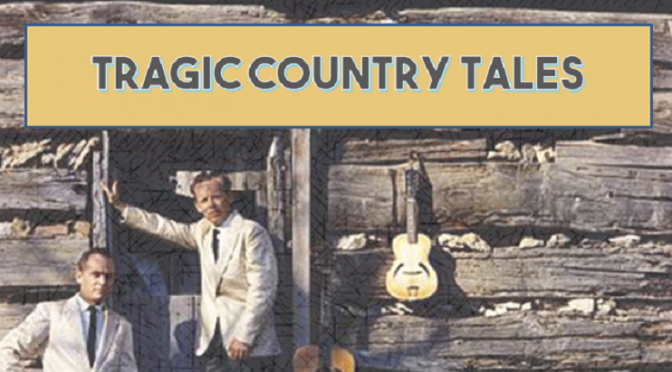 Along with a select few entertainers of the mid-century, he bridged the hillbilly and Appalachian folk institutions to the Golden Age of Country. His influences were not only the ‘picking style’, but also his keen sense of populist stories told from the front lines. We’ll hear from and early influence, Gid Tanner and His Skillet Lickers, as well as those he influenced. All songs written by Merle and some performed by Merle himself. Our show will also feature Merle Travis interview excerpts from the sixties. It’s a Friday morning collection of the very best of Merle Travis. 4 John McEuen Merle Travis Story Live in L.A.
19 Merle Travis No Vacancy The Guitar Picker CD1 – Divorce Me C. O. D.
35 Merle Travis When Rosie Riccoola Do The Hoola Ma Boola The Guitar Picker CD1 – Divorce Me C. O. D.
Tales of lonesome saddles, lost loves, broken hearts, and lonely rooms…a mood, a tone, and short vignettes so common among those themes of country music. We’ve got that and much more in this week’s episode of Deeper Roots. 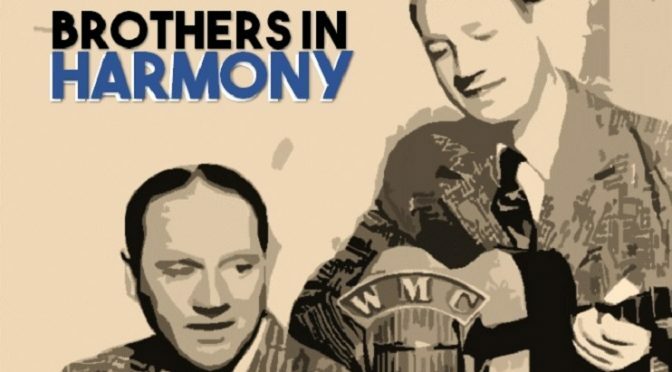 Performances from Grandpa Jones, The Stanley Brothers, Lefty Frizzell, Mel Tillis, and many others, will take us on a ride on a country road, drinking new wine from an old jug. That will also include stories of highway mishaps, the bottom of the bottle, and a mystery of the Tallahatchie Bridge. 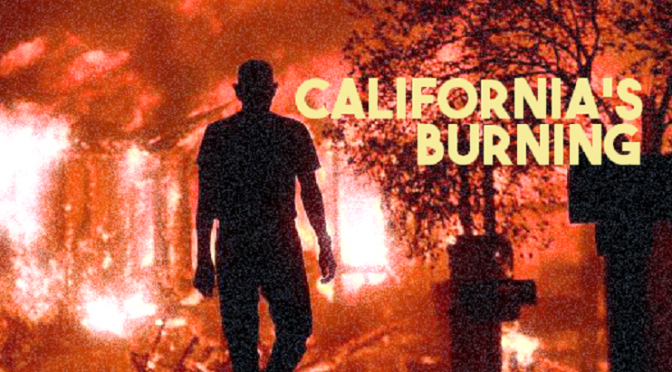 Friday solemn sounds from the past century on Sonoma County community radio.